I FINALLY GOT MY HANDS ON THESE DAMN LIQUID LIPS. I've been hunting and searching everywhere for these since I first saw them 2 months ago. I have a friend who works at a local drugstore and he messaged me when they got them in stock. He picked 'em up for me and I've been in love ever since. Let me give you the low-down. There's 8 tubes of this glorious stuff - I managed to get my hands on 7 of 'em. (I couldn't get my hands on color 01 Beige, last one in the store was open) It retails for $7.99 at my local CVS (although on Milani's website it says $8.99 ) and you get 0.17oz in a tube. 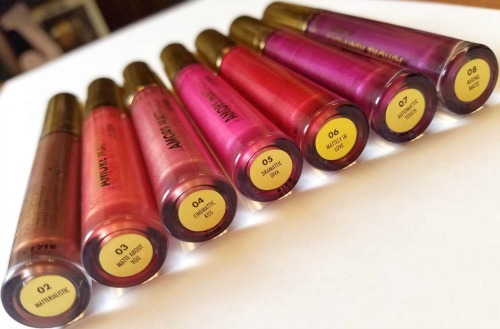 Milani claims that they're pigmented, long wearing, and dry matte. 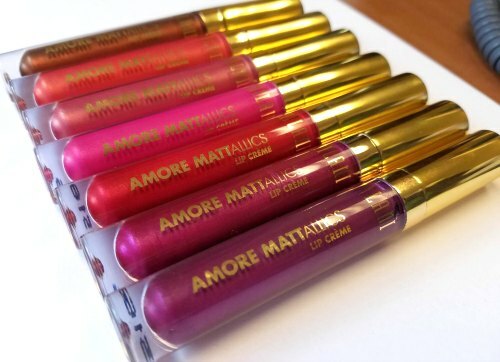 This stuff honestly reminds me of Milani's Amore Matte liquid lippies. Milani killed it with that formula - and they definitely killed it again. Their claims weren't wrong either - this lippie lasted through a yoghurt breakfast, a sandwich lunch, and pasta dinner without having to reapply. Almost all of the colors are one swipe pigmentation - a couple of the colors are a little streaky but nothing too terrible. I really love all of the colors it's kind of ridiculous. The 8 colors they come in are: 01 Beige (not pictured), 02 Matterialistic, 03 Matte About You, 04 Cinematic Kiss, 05 Dramatic Kiss, 06 Mattely in Love, 07 Automatic Touch, 08 Raving Matte. My favorites and most worn are definitely 06 and 04. I'll be delving into 07 & 08 this fall with a sprinkling of 02. 05 is streaky AF - but nothing a couple coats won't fix.